Lots going on in my life these days, but wanted to make a brief update post to talk about some exciting upcoming things. My studio http://www.styluxstudio.com has been working on this for quite some time to make this happen. 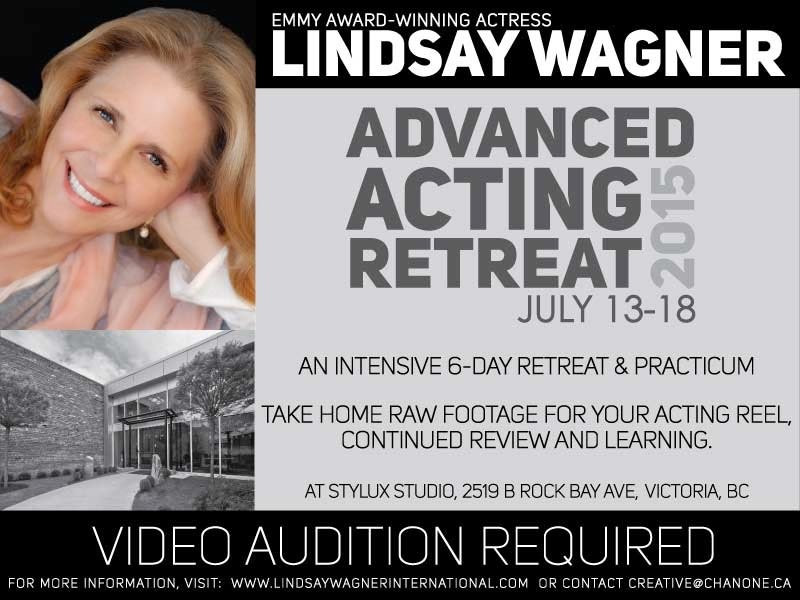 I am very excited to share the news that Lindsay Wagner is coming to Victoria to work one-on-one with up to 14 Actors! We are also very fortunate to have Michelle Allen, an award-winning Casting Director, join us at the retreat. This runs for a week long in summer. I will be publishing a review on the Sony A7s and how it performs. I swapped one of my A7 classic bodies for it, and been using it to shoot video. But what I want to talk about is how it performs as a still camera. There's lots of great reports on it as a video camera, but it's also amazing as a still camera. Sigma 50mm F/1.4 DG in Sony Alpha mount - The ultimate standard! Also upcoming and paired with the Sony A7s is the Sigma 50 ART lens with the long awaited Alpha mount. Using it with the LA-EA4, I'll share my thoughts on that match up. Busy as I am, I am still trying to get more tutorials up on my YouTube channel. A little teaser of the next episode, "The pen, is mightier than the sword." That time of year again where my students are busy preparing for their next installment of social media experimentation and showcasing their Infographic work. I'll post the information on their site and great work. That's it for now, but stay tuned for updates and more info.